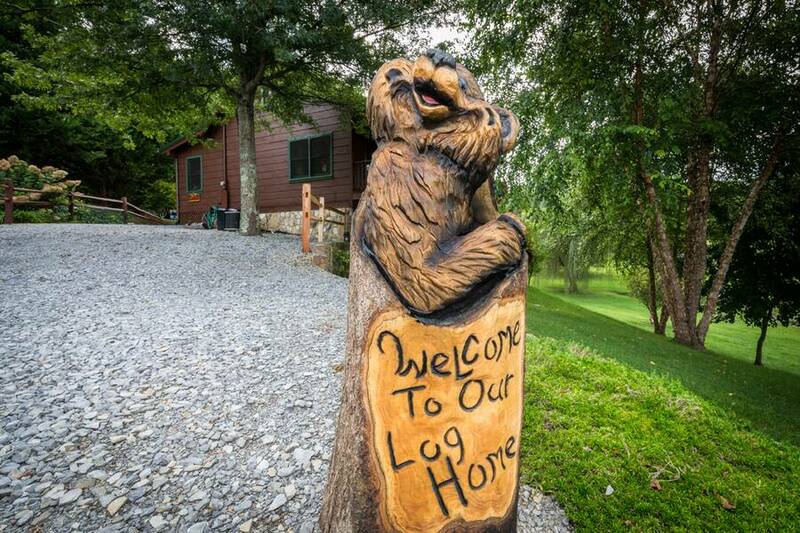 Welcome to A Blissful Retreat in Pigeon Forge! 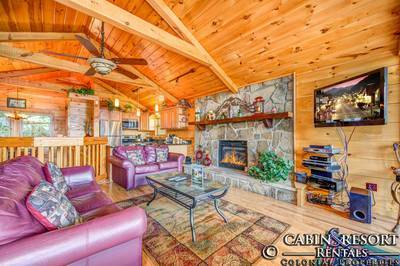 This gorgeous 3 bedroom, 2 bath cabin rental offers outstanding views and total comfort for your upcoming Smoky Mountain vacation getaway. 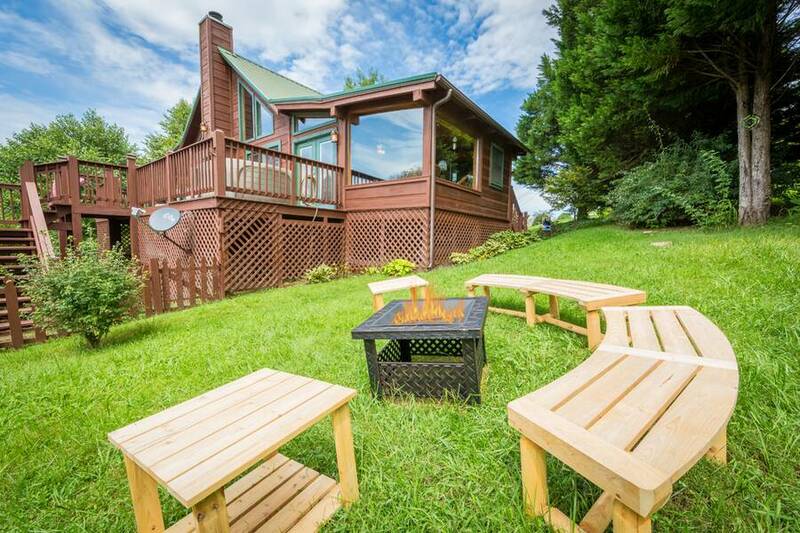 This is our new adventure and we are happy you are joining us! 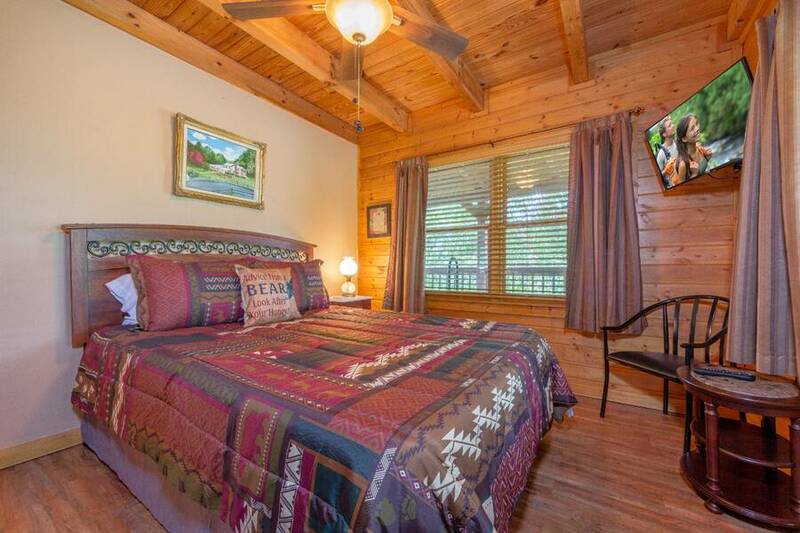 We decorated this cabin as we would our own home and we hope we make it your home during your stay. 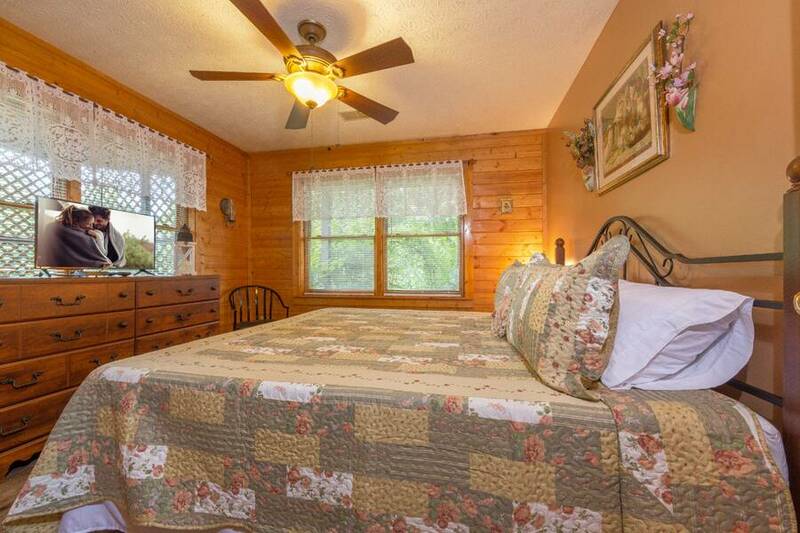 We previously owned a B&B and loved reading guest comments after they left. 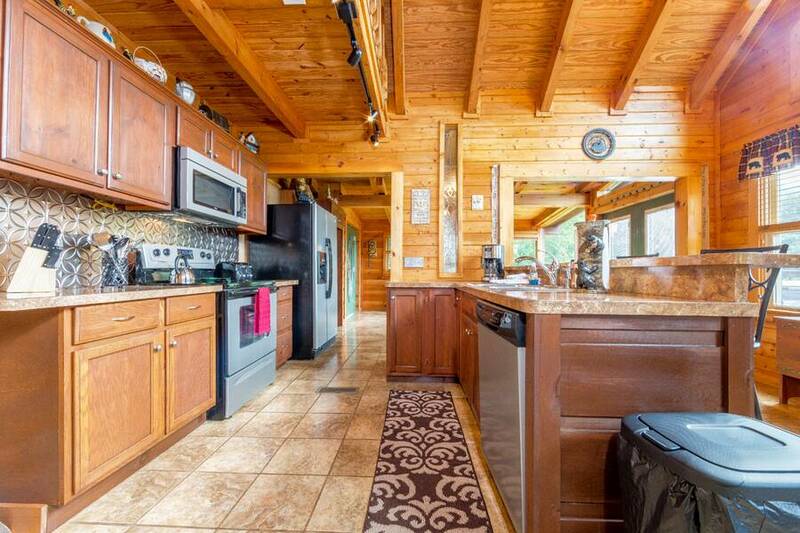 Feel free to add your chapter to our adventure either in the book on the kitchen counter or online via the survey sent by Colonial Properties. 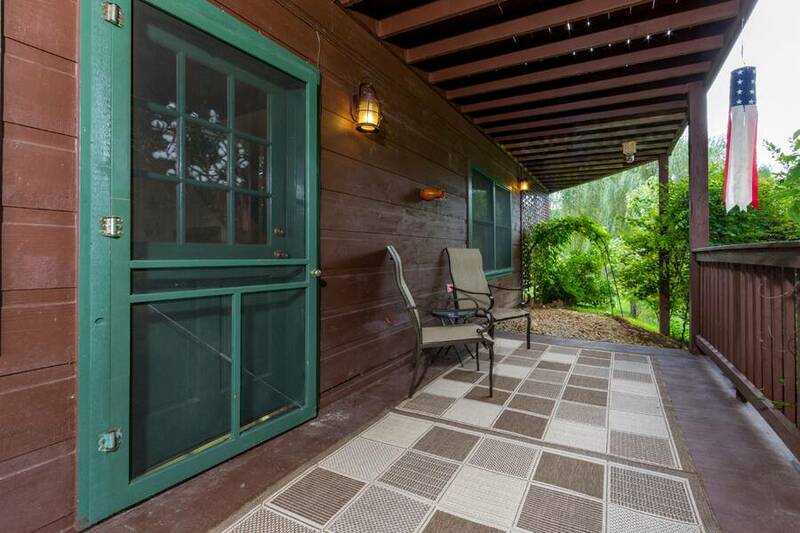 Step inside and you’re greeted by complete luxury and amazing amenities. 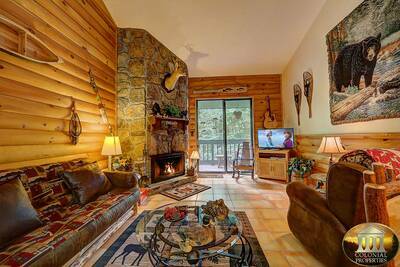 The beautiful living room boasts a stone accented wood burning fireplace, large windows that frame the mountain view, deck access, and a flat screen TV. 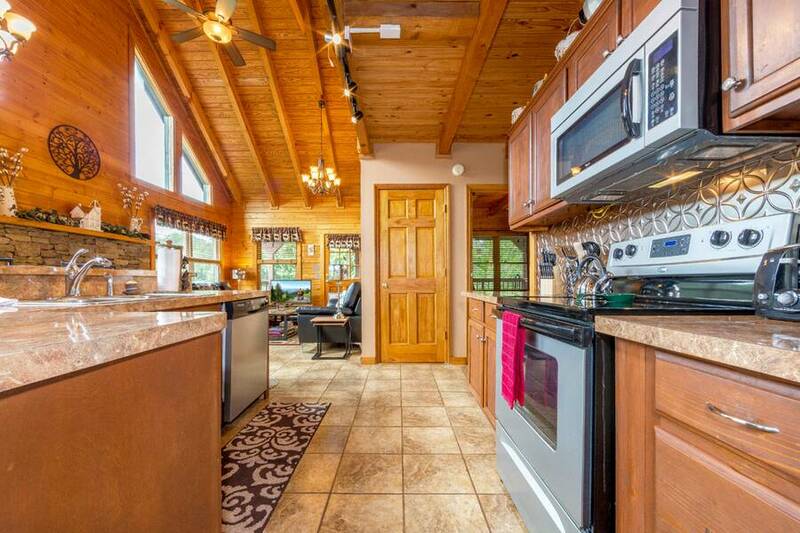 Adjoining the living room is the fully equipped kitchen with all of the necessary items you’ll need to prepare, cook, and serve a delicious home cooked meal while staying in the Smokies. 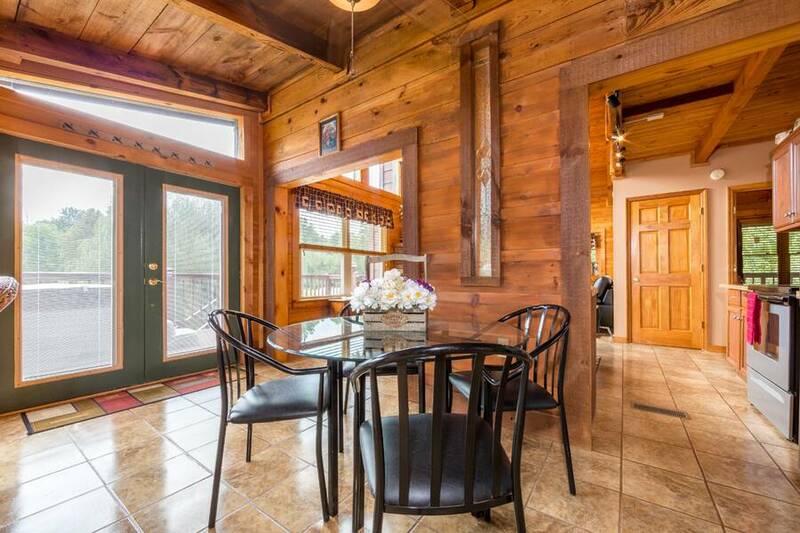 Located just off of the kitchen, you will find the dining room and an adjoining sitting area with picture windows that frame the Smoky Mountains in the distance. 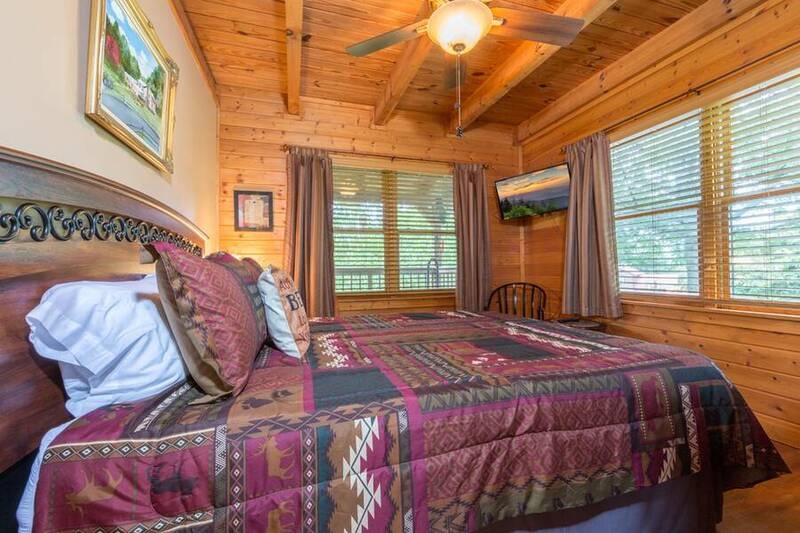 On the main level of A Blissful Retreat there's a relaxing bedroom with flat screen TV, a full bath, and a laundry area. 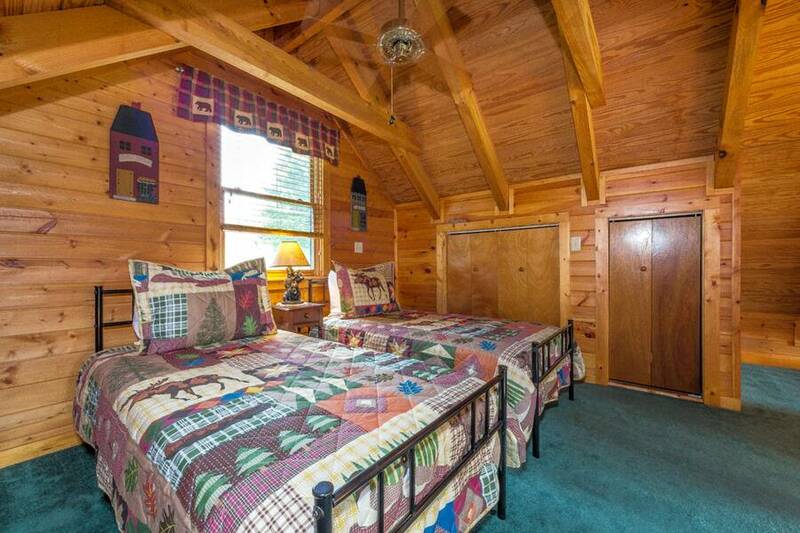 Venture down to the lower level of this Pigeon Forge vacation cabin rental and you’ll enter the fun filled game room. 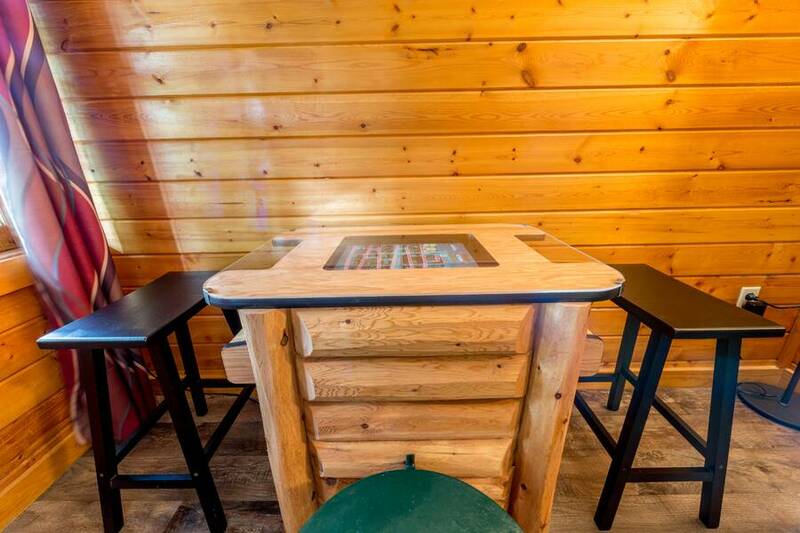 Here you’re treated to a sit down arcade game with nearly 60 classic games of all time. 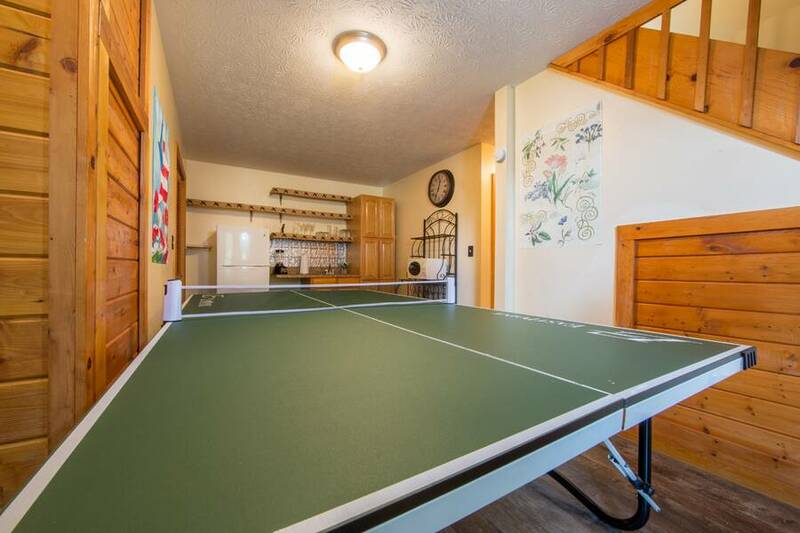 If that’s not enough to keep you entertained, challenge friends and family to an exciting game of ping pong. 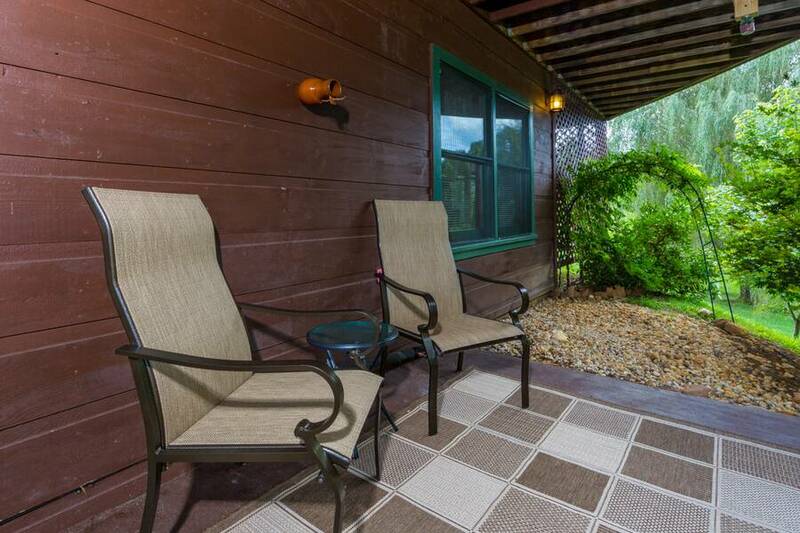 Additionally, there is a covered deck area on this level for you to enjoy the outdoors. 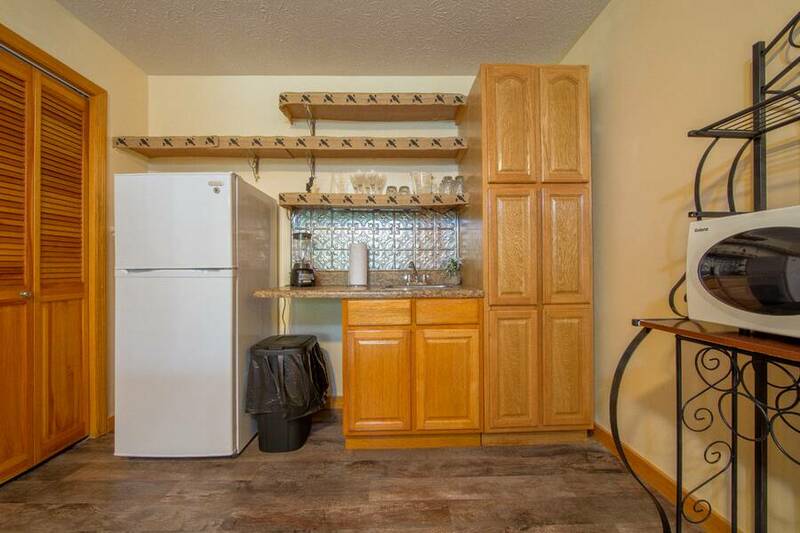 Adjoining the game room is also a wet bar, complete with sink, microwave, and a refrigerator. 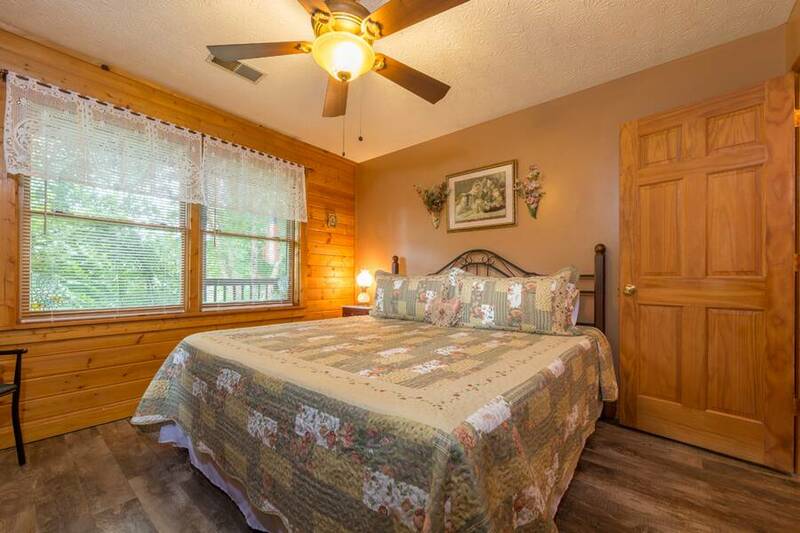 On this level, you will also find a luxurious bedroom with flat screen TV, and a full bath for added comfort and privacy. 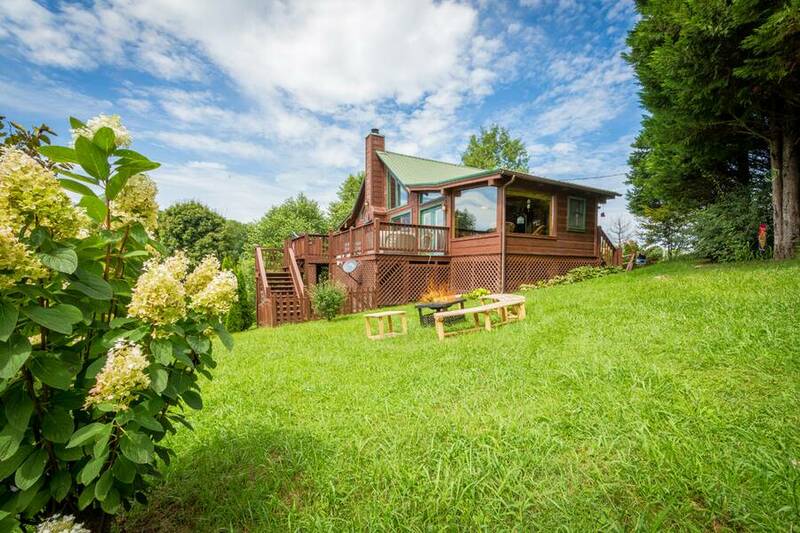 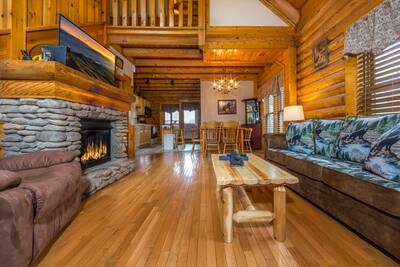 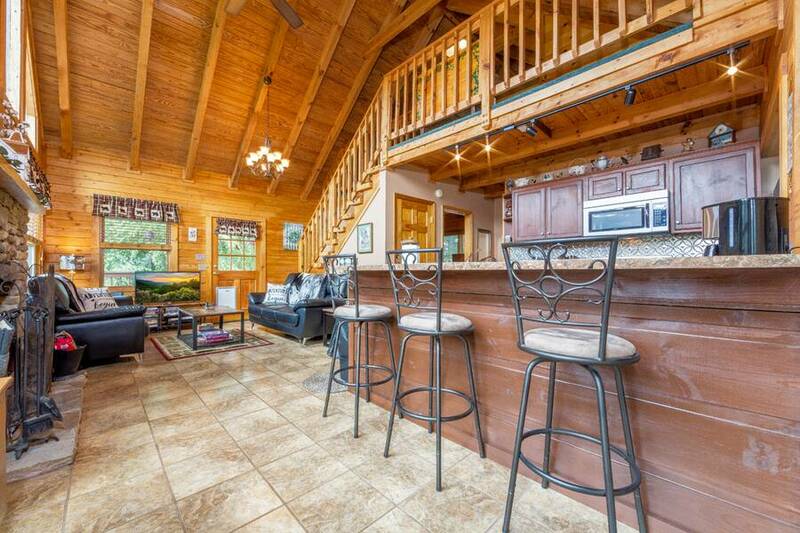 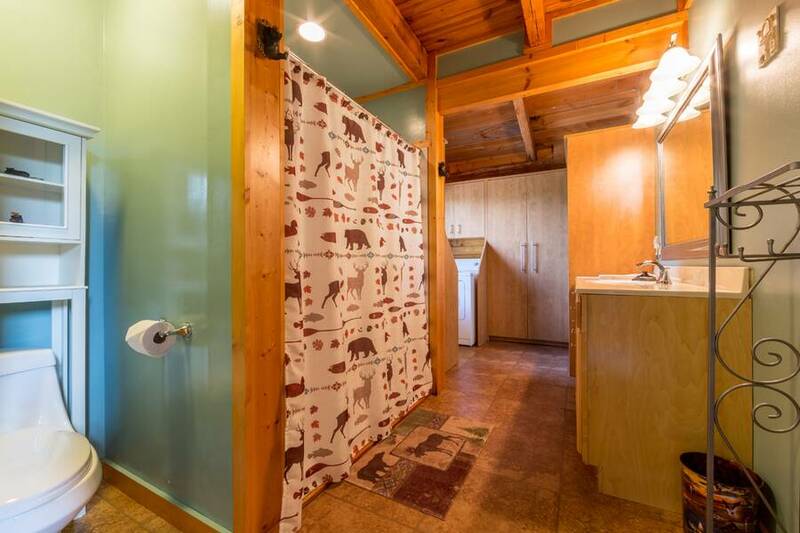 The upper level of this amazing cabin rental features a loft bedroom with two twin beds. 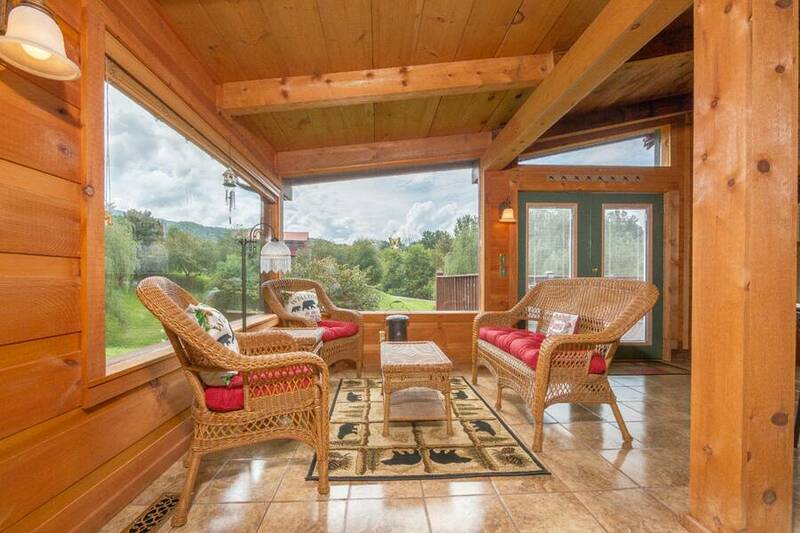 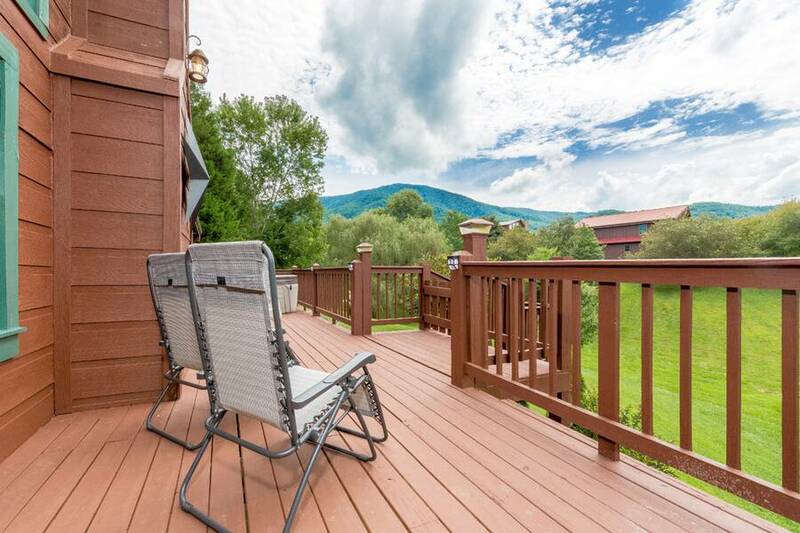 Step outside at A Blissful Retreat and you’ll be amazed at the gorgeous mountain view and expansive decking to enjoy. 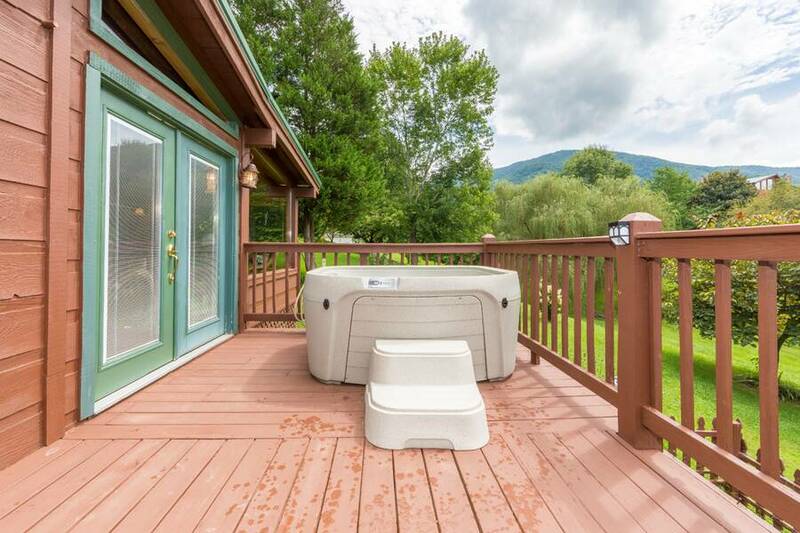 Go for a dip in the bubbling outdoor hot tub while gazing at the stars above, enjoy a picnic lunch on the patio table, sit back and relax in one of the cozy chairs, or step out into the yard and roast marshmallows over the fire pit. 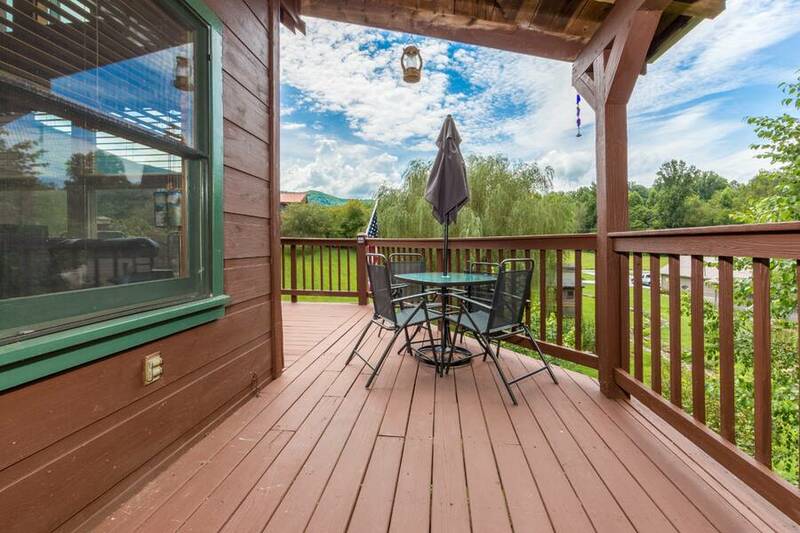 A Blissful Retreat provides you and your guests with complimentary high speed WiFi internet to enjoy while staying here, so be sure to pack along your laptop or tablet to enjoy while staying in the Smoky Mountains. 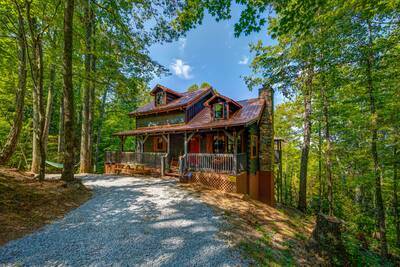 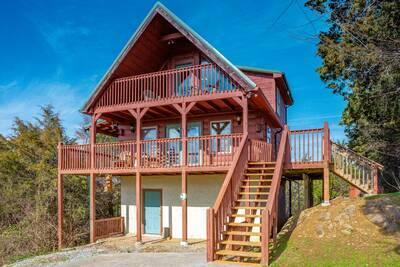 A great feature that is often overlooked, is that this beautiful cabin rental has easy, paved road access with no steep mountain roads to travel, yet still offers panoramic mountain views and is less than 5 miles from the Great Smoky Mountains National Park entrance. 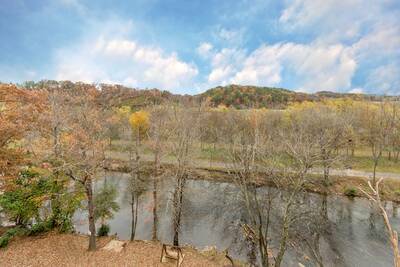 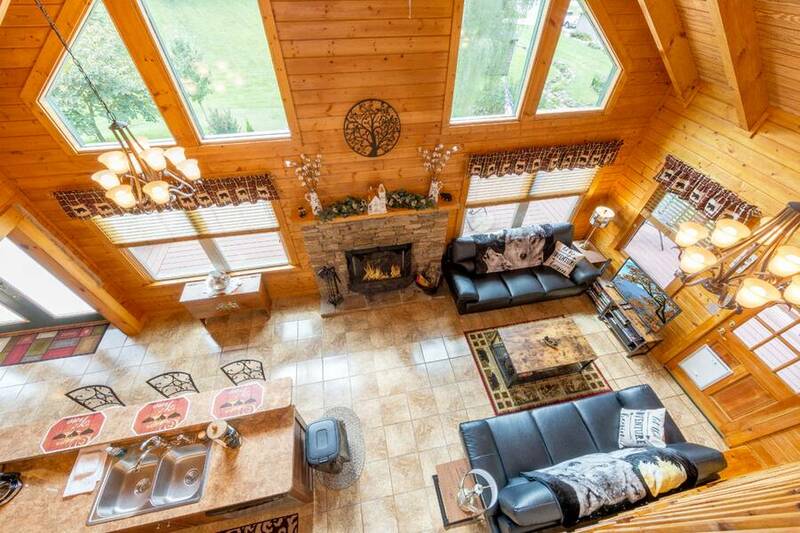 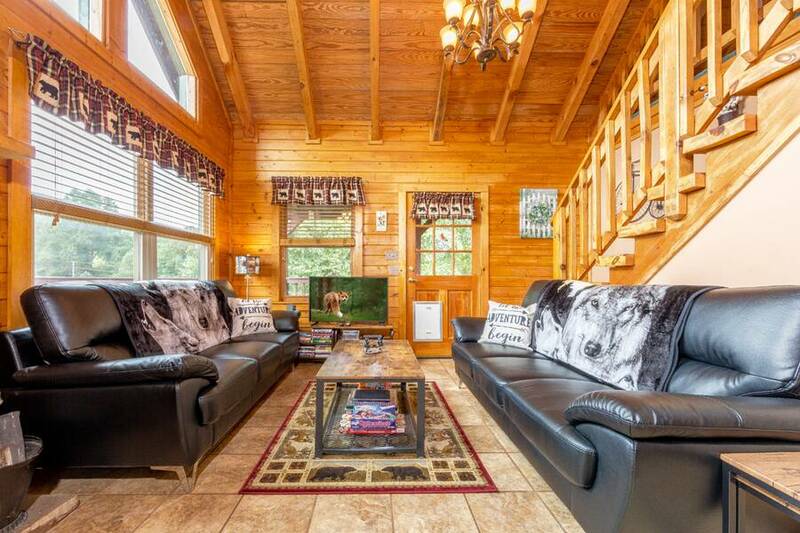 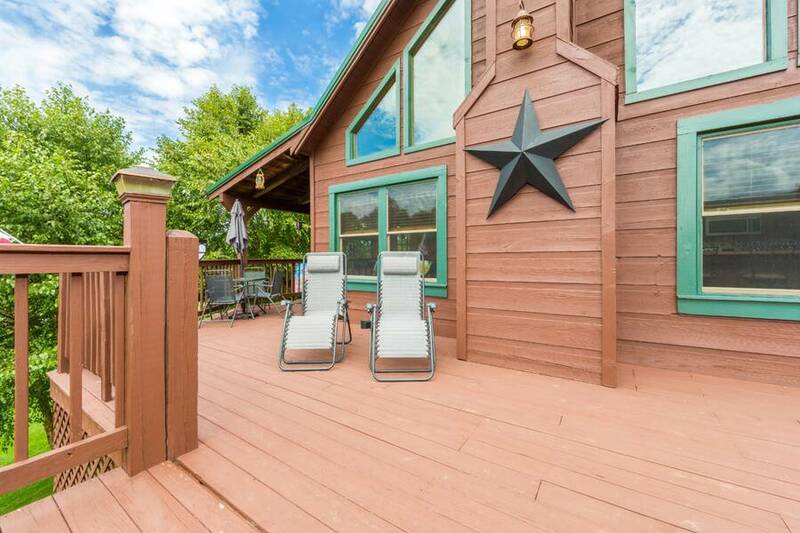 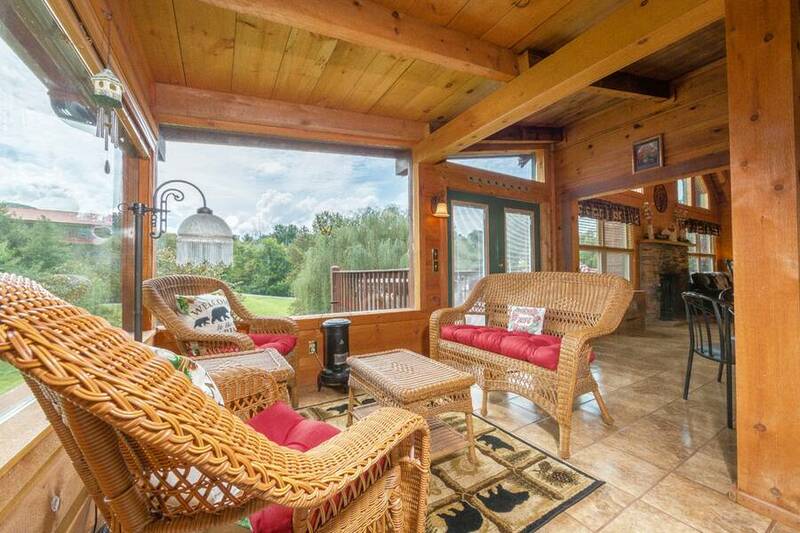 If you’re looking for a remarkable vacation getaway with a large yard, beautiful views, and amazing amenities, plan your stay at this Pigeon Forge cabin rental today! 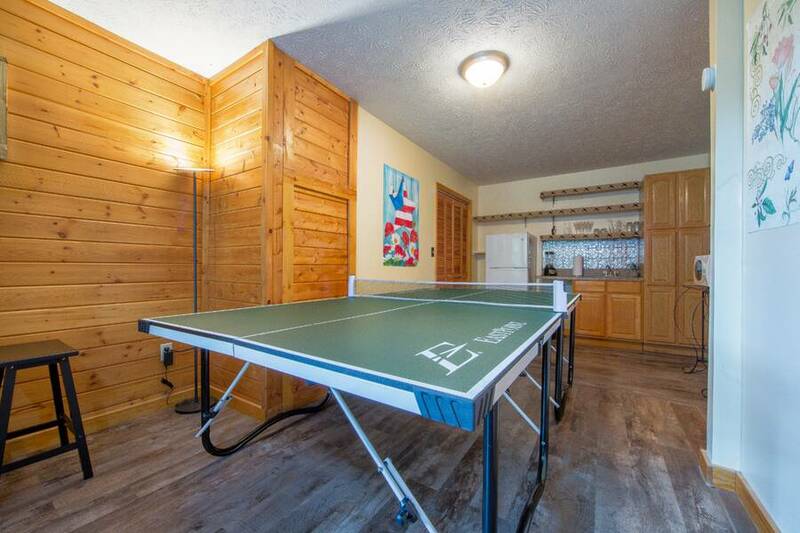 A: Hi Tom! 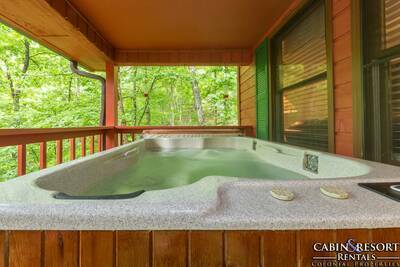 The hot tub will accommodate approximately 4-6 people. 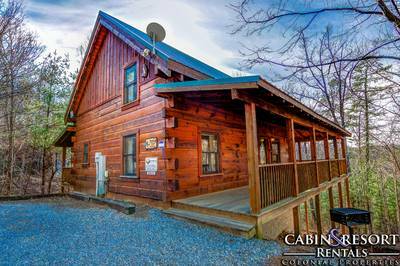 “ This was by far the best cabin that we have ever stayed in. 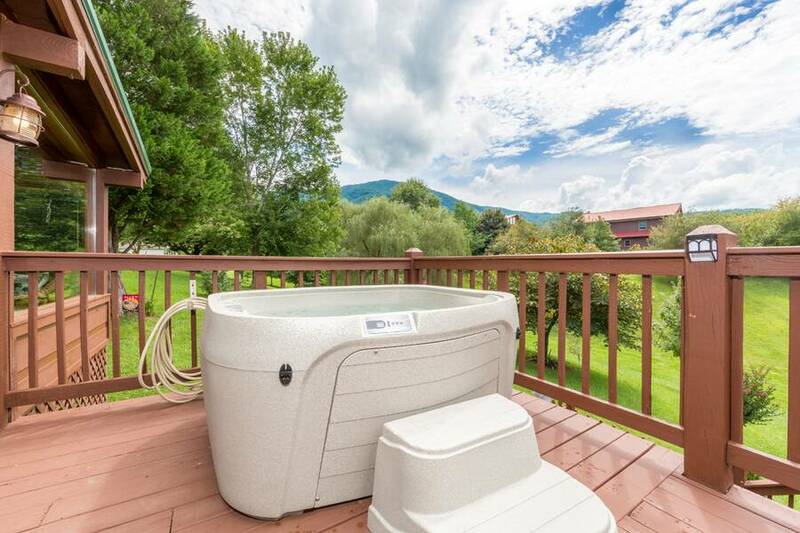 We loved the view of the mountains and the large yard. 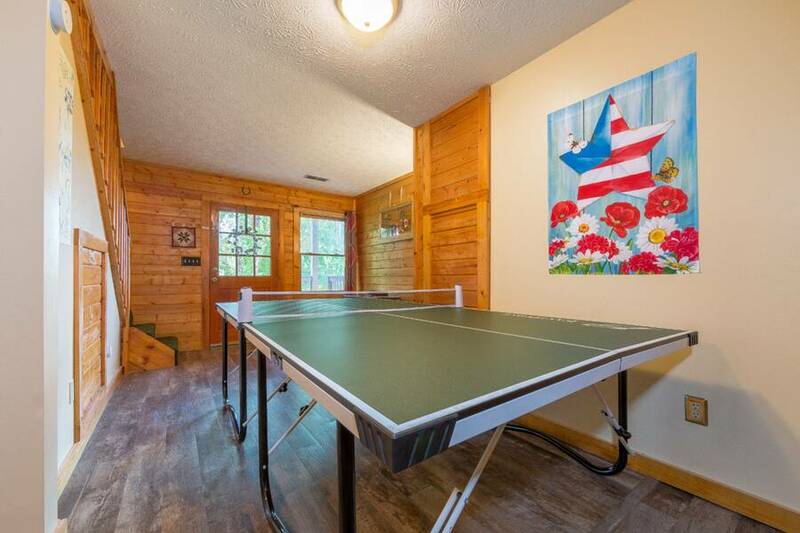 We'll definitely return. 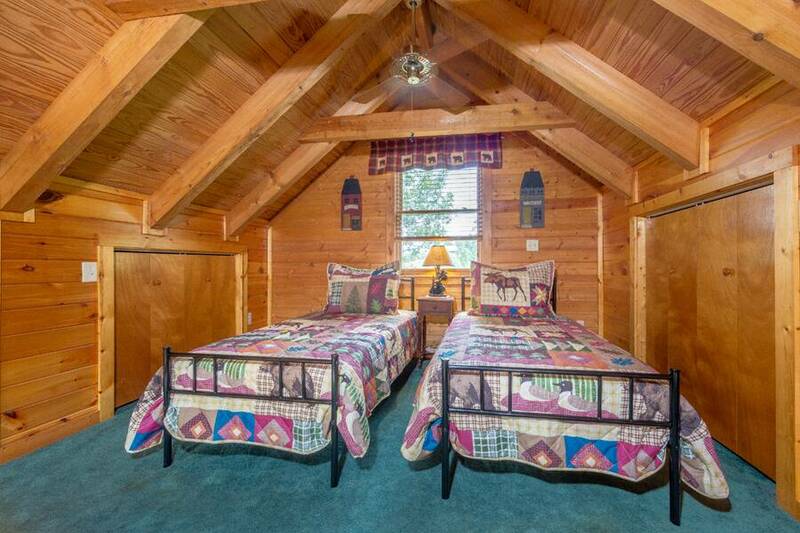 “ We had so much fun at this cabin. 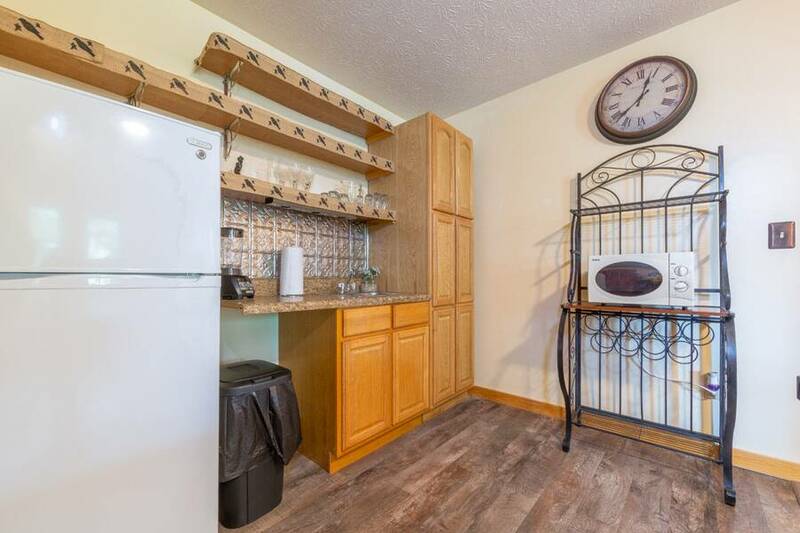 It was clean and had everything we needed! 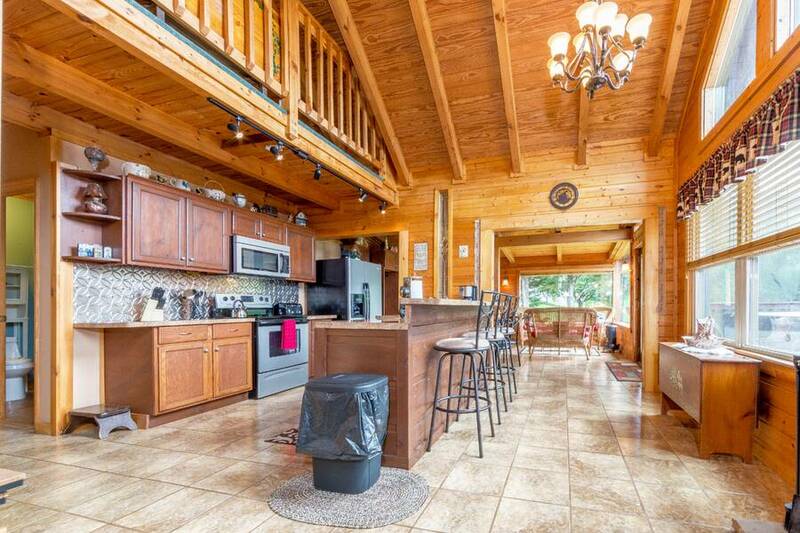 Would love to come back! 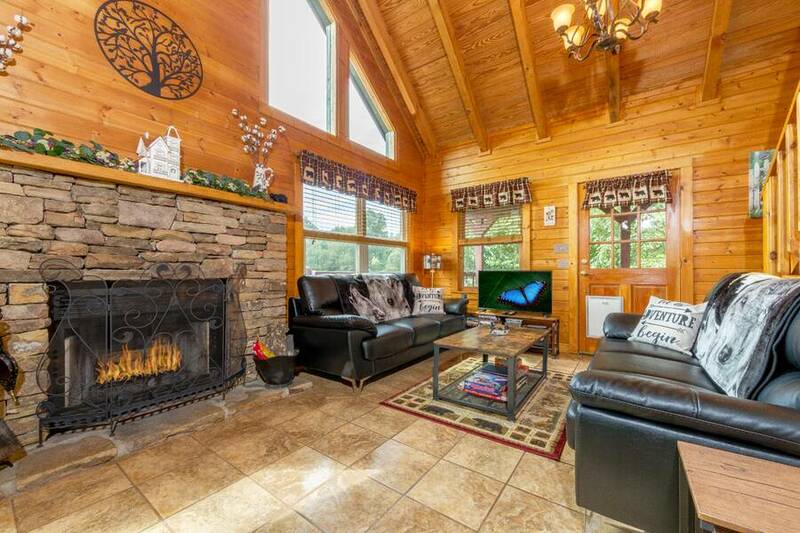 “ This was a quick, last minute getaway for our family. 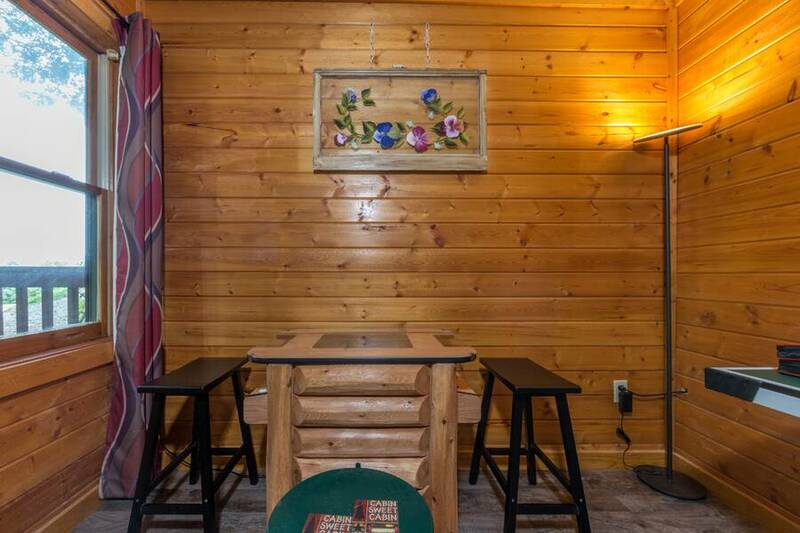 The cabin could't have been better for our family. 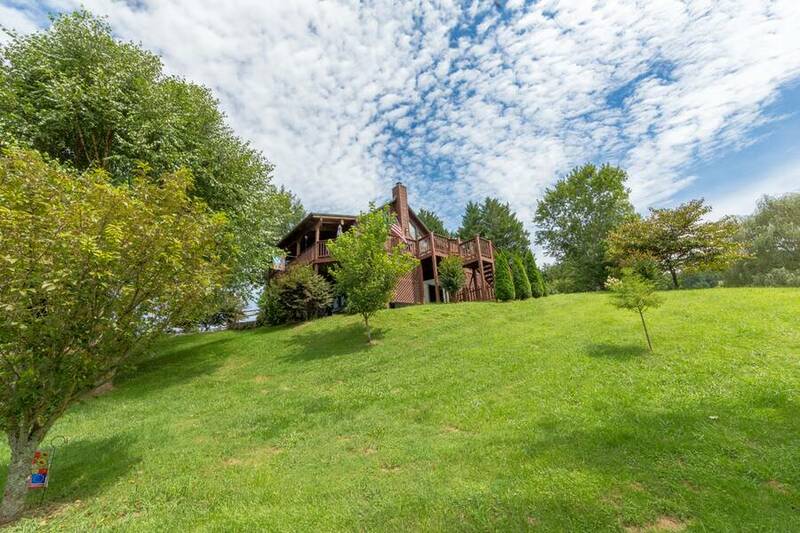 Thanks for the memories!